With the start of the season just a week away, we took a ‘small’ detour on the way to Melbourne to light up Tokyo with a show run in the home of their new power unit partner, Honda. The show car team cranked up the anticipation by setting up a special 780m track in the beautiful parkland of Jingu Gaien Gingko Avenue. 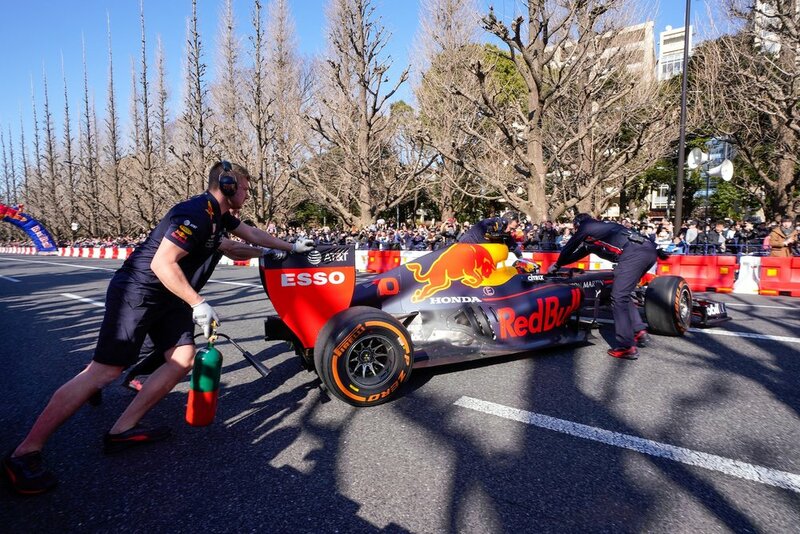 Max and Pierre got stuck in, blasting two RB7s through the streets of Tokyo in front of 10,000 fans, for our first show car event in Japan since 2011. 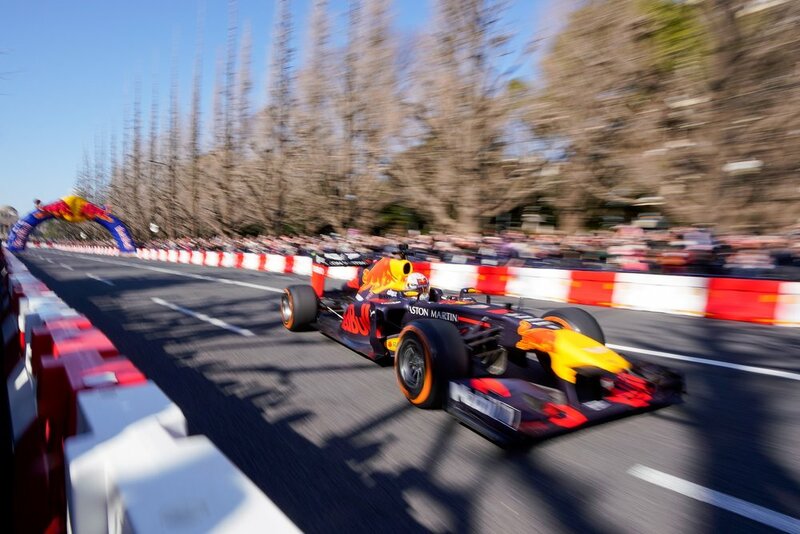 Fans were treated to a stunning display of F1 power, with the Bulls putting in multiple runs of the track that inevitably resulted in a series of wild donuts and burnouts at either end of the course. With the tyre smoke still clearing in Tokyo, we now head straight to Melbourne to begin preparations for next week’s season-opening Australian Grand Prix.